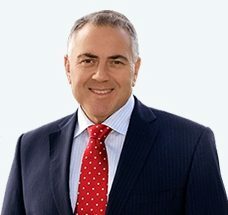 The Honorable Joe Hockey, Australian Ambassador to the United States, will be a special guest panelist at ARTBA’s annual P3s in Transportation Conference, July 12-14, in Washington, D.C. Ambassador Hockey previously served as treasurer of the commonwealth, where he played a major role in his government’s use of asset recycling as a short-term funding program to stimulate the economy. Other participants on the July 13, “Can Asset Recycling Help Rebuild American Infrastructure?” panel, include Tom Osborne of IFM Investors, Kevin DeGood of the Center for American Progress, and Shar Habibi of In the Public Interest. Conference participants will join the debate on whether asset recycling is an effective strategy to fund billions in new infrastructure projects, or if the political and social costs are too high for governments to sell off their valuable assets. The conference also includes sessions such as “Navigating the Political Waters to Promote P3s,” “The Contractor’s Role in P3 Development,” and “Going Beyond Transportation P3s – Learning from Other Sectors,” and much more.